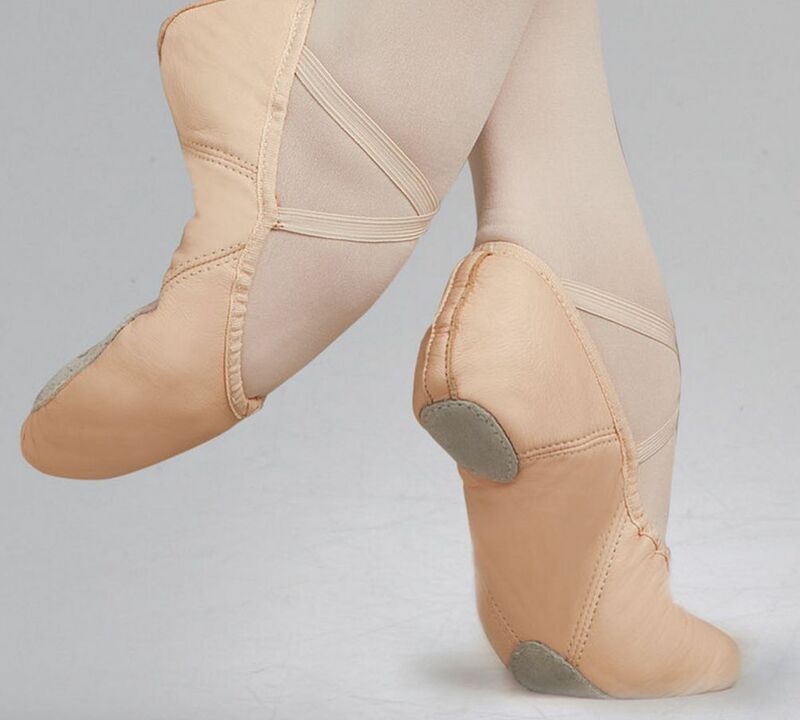 Constructed of soft, durable, sheep skin, glove leather and featuring a split sole, the Juliet's patented diamond gusset creates a seamless, sculpted arch. Moisture absorbent brushed polyester/cotton lining gives better floor feel and precision trimmed forefoot padding ensures a flat shoe. 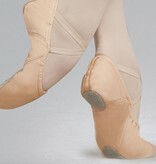 Featuring contoured, durable chrome tanned suede sole patches, pre-attached criss-cross elastics, and bar-tacked elastic drawstring. Shaped on a women's last. SIZE NOTE: Runs Small, order 1 size up for snug fit.